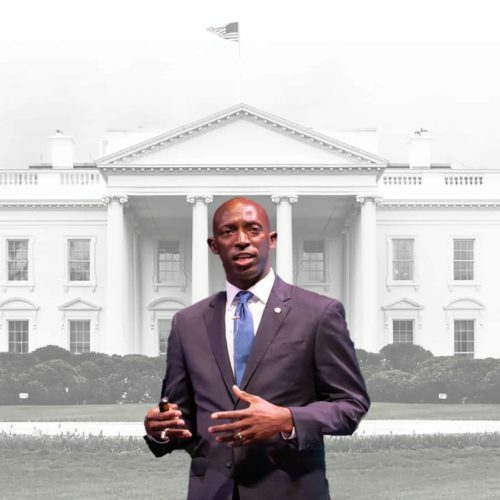 Mayor Wayne Messam of Miramar, Florida, today announced on Twitter that he is running for president. Messam — a college football national champion at Florida State University who briefly played in the NFL — is running on a platform of gun control and getting rid of student loan debt. 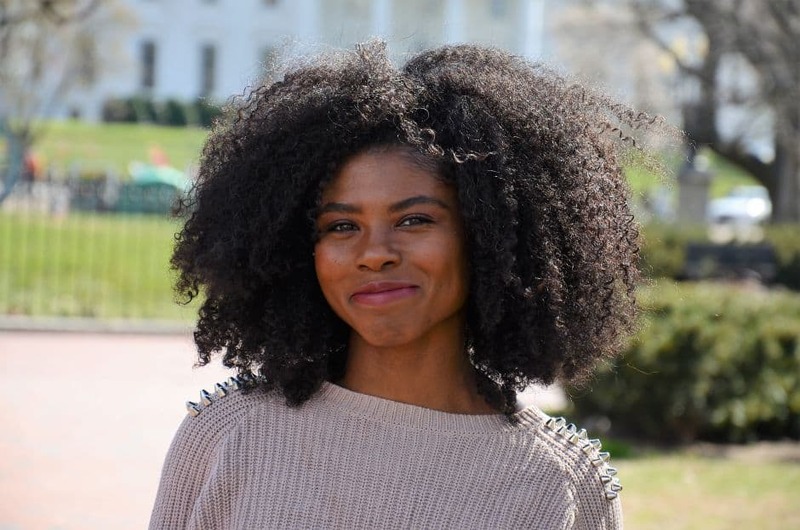 Messam joins a packed field of other Democratic candidates hoping to battle President Donald Trump for the White House in 2020. 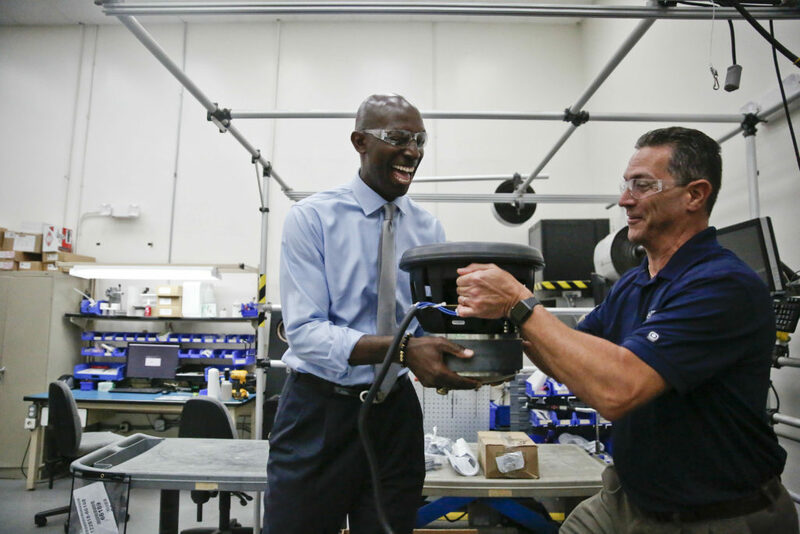 A construction business owner and the son of Jamaican immigrants, Messam would be the nation’s second black president should he win the Democratic Party’s nomination and defeat Trump. But Messam faces incredibly long odds, given his lack of national stature and stiff competition from a slew of well-funded Democratic candidates, such as Sens. Bernie Sanders and Kamala Harris and former Rep. Beto O’Rourke. Messam isn’t much of a political spender. He’s given just $600 to three Florida candidates running for school board, governor and a Florida state house seat. In January 2018, Messam gave $50 to the Democratic National Committee. Messam made history in his south Florida city when he was elected in 2015 as the city’s first black mayor. Messam defeated incumbent Lori C. Moseley by just 313 votes. Messam’s Miramar mayoral salary was reported to be $43,411. Just 8 percent of the 83,000-plus eligible voters in his city voted in Miramar’s mayoral election in March. Out of those who did vote, Messam won re-election with 86 percent of the vote. Just a day after being re-elected Miramar mayor, Messam announced he was forming a presidential exploratory committee. He also filed his statement of candidacy days after his mayoral win, making him an official presidential candidate as far as the Federal Election Commission is concerned. According to Messam’s most recent mayoral campaign finance report, he raised nearly $80,000 for his mayoral run. He received contributions from people and organizations in the real estate, marketing and construction business. He also reported making nearly $35,000 in expenditures toward marketing and legal consultation. The Broward Office of Inspector General investigated Messam during his 2015 mayoral race. His campaign made more than $9,000 in expenditures for campaign supplies and services to two business entities Messam and his wife, who served as his campaign treasurer, owned and operated. Other expenditures made after the race were also questioned and may not have qualified for payment, according to the Broward Office of Inspector General. The Broward Office of Inspector General closed its investigation after Messam and his wife refused an interview with the Broward Office of Inspector General and declined to provide records that campaign treasurers are required to keep under Florida law. It made a referral to the Florida Elections Commission in January 2017. Donna Malphurs, spokesperson for the Florida Elections Commission, told the Center for Public Integrity that no decision has yet been made public about the referral. Messam’s potential campaign issues are nothing compared to those of his re-election opponent, Josue Larose, who captured 14 percent of the vote in Miramar’s mayoral election this year. Florida elections officials in 2014 ruled that Larose violated state election codes more than 2,000 times and fined him $513,000. The home listed on Messam’s Florida voter registration, which lists him as an active member of the Florida Democratic party since 2000, holds a market value of $517,220, according to the Broward County Property Appraiser. The son of Jamaican immigrants wants to cancel the nation’s $1.5 trillion in student loan debt — debt he might not have as he was offered full athletic and academic scholarships to attend Florida State University. Sources: City Lab, The Sun Sentinel, National Institute on Money in Politics, Federal Election Commission, City of Miramar, USA Today, Broward Beat, Broward County Supervisor of Elections, Broward Office of the Inspector General, Local 10 News, Florida Department of State, Broward County Property Appraiser, BuzzFeed News, and City of Miramar.